Then, the weekly iQDigest is just the thing for you. Every Friday, a new iQDigest will be uploaded on this page. They can be downloaded in the pdf format. 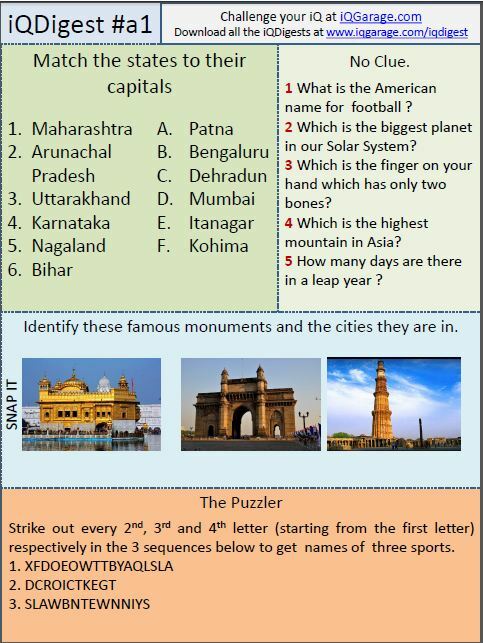 Attempt the questions on your computer or mobile/tablet with the pdf or print them to take home for the weekend. The font size is good enough for them to be printed on one side of an A4 paper (Most digests are of 2 pages). If you haven’t already signed up for the email subscription, do so here so that you receive the latest quizzes on email.